The current cultural roar about transgendered individuals is peculiar. Why this hubbub, about such a tiny fraction of the population? Best estimates from research indicate that transgender folk are at most three out of every thousand individuals, and more likely one in a thousand. It is not a common thing, and yet it seems to be a flashpoint issue this political silly season. Here, a nation drowning in debt, unmoored from a sense of common purpose and frustratingly lost. Our warped, top-heavy economy has left countless millions without meaningful vocation. There are very real things we need to deal with. And all we can talk about is where surgically and hormonally altered people should go to the bathroom. I think, though, that I know why. It's because transgendered individuals are an optimal target. It used to be homosexuality generally, but that's proven less productive than hoped. The problem with targeting gays and lesbians is that there are just too damn many of them. Yes, that might seem a strange thing to say, but hear me out. At three point five percent of the population, they're a small fraction of humanity. But we all know a gay man, or a lesbian. We humans are tribal creatures, woven together by a network of relationships. That network of knowing tops out, on average, at around 150 individuals. We can grasp the complex interweaving of a matrix of that size, understanding how every part of that network relates to every other part. It's called "Dunbar's Number," after anthropologist Robin Dunbar, and it seems to be a robust descriptor of human relationships across every culture. That means that gays and lesbians are a part of every tribe. They are our friends, our family, our co-workers. They are part of us, no matter who we are. They pass the Dunbar test. For all of the hullabaloo on both left and right, trans folk fail the Dunbar test. At a best-estimate 2.25/1000 of total population, the majority of human beings won't deeply personally know a transgendered person. I do not. Oh, I've seen people who are trans. And there are trans souls who are one or two steps removed from me in my loose circle of acquaintance. But they are not my friends. Not because I bear trans people any animus. But because I simply do not know them as persons. In fifty years of life in a major metropolitan area, I have not had that opportunity, not ever, to organically make their acquaintance. Nor would I do so inorganically, because that kind of synthetic consciousness raising exercise would be an insult to the personhood of a trans soul, just a checking of a represent-your-category-for-me leftist-anxiety-box rather than an actual relationship. This makes the transgendered the perfect Other. If you need an enemy to cement your power, you need to stoke fear and manipulate, they're even better than immigrants. Even better than gays and lesbians. Because, through the simple mathematics of statistical frequency, there just aren't that many of them. Not enough for that to be a consistent part of the human experience. Those seeing power always seek the friendless, the isolated, the different. It is the method of the bully, everywhere, at every level. 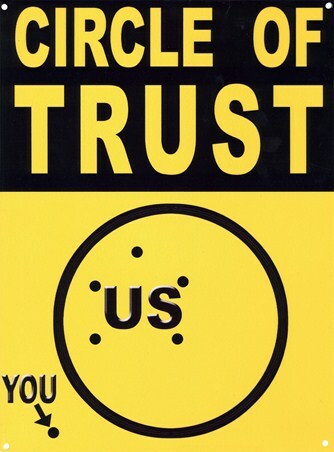 And what better target, than those who inherently fall outside of Dunbar's Circle of Trust?